After working primarily as teaching assistant at Toei Animation, he assumed the position of ‘assistant director’ on Utena due to Ikuhara. Kaneko didn’t have that much practical experience as director at that time, so his work on Utena certainly shaped his style a lot. Once you go through his work, Ikuhara‘s influence on him is easily noticable, particularly in his visual language. Compared to Ikuhara, he’s much more of a comedy director, though. There’s a lot in his directorial style that reminds me of the typical (romantic) comedy direction of the 1990s (along the lines of Hiroaki Sakurai), and naturally there are also Utena vibes. The other staff members on Utena apparently called him ‘ChuChu Director’ since he was supervising the scenes with ChuChu on all episodes, so the more light-hearted ones. After Utena (TV), he went on to direct two TV Series for J.C.STAFF, namely ‘Alice SOS’ and ‘Spiral’, both of which had openings directed by Mamoru Hosoda (the connection should be obvious). 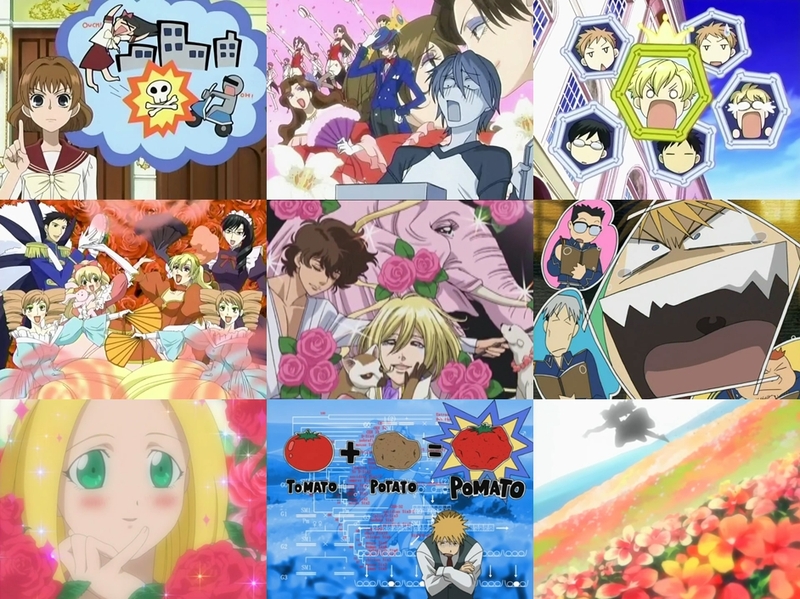 From 2004 onwards he’s been mainly involved in Bones productions, including the series of his former Utena co-staff member Takuya Igarashi (Ouran High School Host Club, Soul Eater, Star Driver), of course. This year, he reunited with Ikuhara to help him out on his new show ‘Mawaru Penguindrum’, where Kaneko directed/storyboarded the comedy-centric #4 & #16 and did some storyboarding for #11. In latter episode he obviously was in charge of storyboarding Ringo’s fantasy world, since that kind of sequence is a typical stylistic trait of his and episode 4 was full of it. Igarashi is certainly a shoujo anime director through and through, but he’s a bit less metaphorical in his approach than Ikuhara. So in a sense, he is ‘Ikuhara light’ with a somewhat more approachable style of directing for people who aren’t into shoujo stuff (Ikuhara went further into that direction with Penguindrum, though). I think Mamoru Hosoda needs no big introduction, most anime fans probably know him for movies like ‘The Girl Who Leapt Through Time’ and ‘Summer Wars’. He began his career in the anime industry as animator at Toei Animation with the intention of becoming director later on. He made his early steps into directing on Utena and working under Ikuhara, whom Hosoda considers as his mentor. The stylistic similarities between these two directors are quite obvious, even though Hosoda‘s directing is less expressionistic than Ikuhara‘s. Hosoda depicts the worlds in his anime more naturalistically, somewhat reminiscent of another anime director who had a lot of influence on him, namely Kazuhiro Furuhashi. 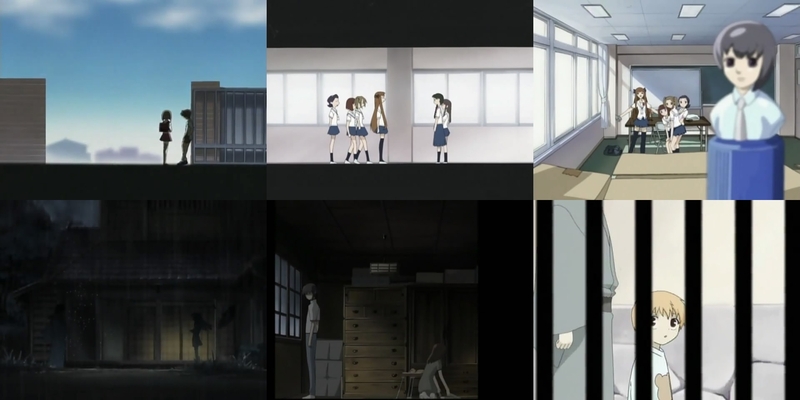 Still, his directorial devices and cinematic technique scream ‘Ikuhara‘, beginning from horizontal screen compositions to the rhythm of his storyboarding and also the way he uses metaphors. ‘Ashita no Nadja’ #26 is probably the episode where Hosoda‘s directing is closest to Ikuhara‘s. It’s one of my favorite Hosoda episodes, emotionally powerful and beautifully crafted from beginning to end. 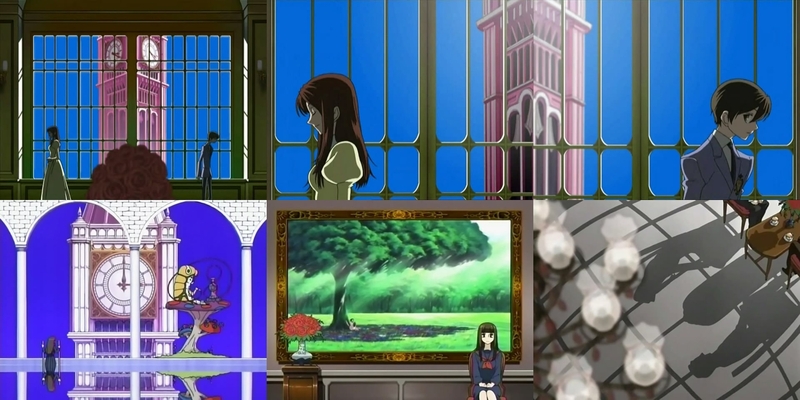 Many of the elaborate layouts in this episode were corrected by Hosoda‘s own hand, which led to some of the most memorable scenes of the entire series and beyond. 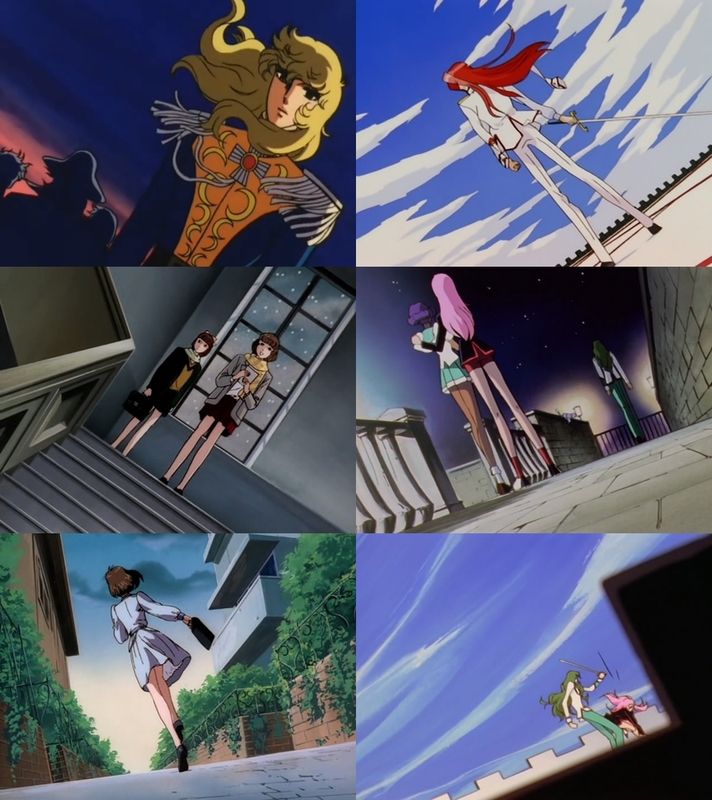 Despite doing no actual directing on the series, Nagahama was deeply involved even in the pre-production of Utena. He was the one who gave concrete form to Utena’s world based on Ikuhara‘s mental images and ideas. 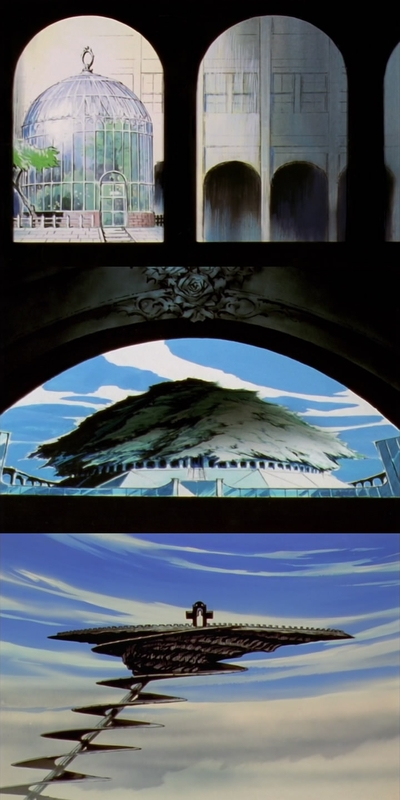 Things like the dueling forest, the school building, Anthy’s garden, the student council room and most of the other architecture and environments were designed by Nagahama. In addition, he was animation director on several episodes and did some key animation as well. 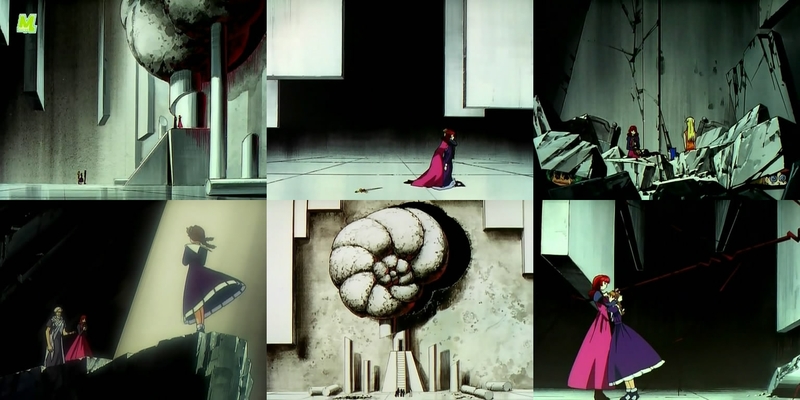 In the process he had certainly absorbed Ikuhara‘s approach to staging and layouts as became obvious later on. Much of Nagahama‘s post-Utena work reflects Ikuhara‘s directorial style in one way or another, although it’s often not as obvious as with, say, Hosoda and Igarashi. Apparently, Nagahama himself said in a Newtype interview (issue 05/2005) that Ikuhara had had profound influence on him, which doesn’t come as a surprise if you know his work on ‘Fruits Basket’. 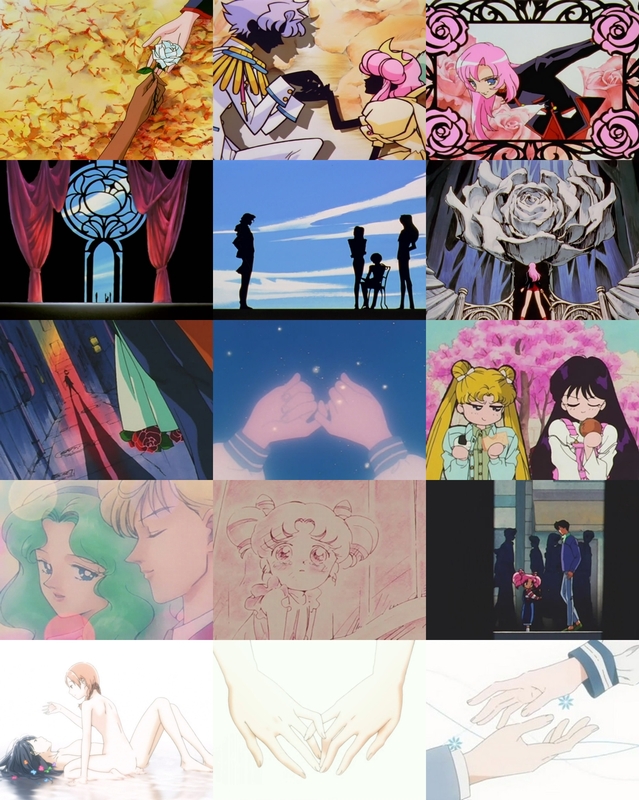 The two episodes he directed (#18 & #25) stand out for their Utena-like direction and the theatrical elocution, and particularly his ‘Fruits Basket’ opening is ‘Ikuhara school‘ through and through. Fantastic post! Many of these I knew of (Igarashi being obvious in particular) but I must admit I had never associated Mamoru Hosoda’s style with Ikuhara but reading this the influence is definetly there. I’ve always suspected a lot of Anno influence on Shinbo rather than Ikuhara though as Shinbo’s whole style feels like Anno’s form stretched to logical culmination point. Speaking of which, any chance of similar posts on other directors? I’d be particularly interested in one on Anno’s influence as it has especially through Evangelion influenced anime of past 15 so much. I never realized that Hosoda was influenced by Ikuhara. I wish Hosoda could direct an episode of Penguindrum, but I don’t think that is happening. Shigeyasu Yamauchi of course just directed episode 18 of Penguindrum and that was glorious. Anyways great post & very informative! Good job. We don’t need to make this post anymore now that you’ve done it so well. Good post. I didn’t know Yamauchi was Ikuhara’s mentor but I had been wondering how he fit in in that group of Toei guys. Another person that could be include here is Kenji Nakamura even if he’s only (directly) influenced by Ikuhara through Hosoda as far as I know. Well, Anno had a lot of influence on the industry, so certainly on Shinbo as well (to a certain degree). However, I think Shinbo’s style is rather grounded in Tezuka Pro’s & Dezaki’s tradition (as I pointed out in the post) as well as in the philosophy of Studio Pierrot and the Kanada school. In Shinbo’s early days as animator, he worked in a Kanada school environment which is still noticeable even to this day, for example in his sense of coloring. Roughly a year ago there was an interview with Shinbo & Tsutomu Mizushima in Newtype, where Shinbo said that his mentor had been Akira Shigino, a Pierrot veteran. Other influences he mentioned in interviews are Motosuke Takahashi (another Pierrot veteran) and Masahito Yamashita (Kanada school), so people he worked with in his early days in the industry. Of course, there’s much more to the accumulation process in which Shinbo’s current style took shape, but I guess the comment section isn’t the right place to discuss that in detail. Maybe I’ll further expand on this topic in a separate post someday. For now, I don’t have any plans to do similar posts on other directors, though. Indeed, Kenji Nakamura’s work has also some typical traits of Ikuhara style, but as you already pointed out, it’s an indirect influence via Mamoru Hosoda. You could describe Nakamura’s style more or less as ‘Hosoda x Shinbo’ since both had profound influence on him. Not to forget Yoshinori Kanada, with whom he worked on the ‘Hanjuku Eiyuu Tai’ game openings. I very sincerely hope you’ll keep up the great work! Thanks for your kind words. Taking a closer look at anime can indeed be very rewarding. As with all art, there’s an accumulation process going on with anime, too. So delving into ‘anime history’ can be very enlightening if you know what you are looking for. You did something along these lines with the chart in Ghostlightning’s post, so you probably know that this kind of research can lead to some aha experiences. Utena is a very special case to boot since it is one of the few anime which lies on a nodal point of anime history. The impact it had on the industry was really, really huge. Awesome write-up, thanks for all the behind-the-scenes looks into the industry. Mawaru Penguindrum is proving to be one of the best shows of the year (for my tastes LOL); I’m totally addicted and recently rewatched eps 1-19 again to properly marathon it as it draws to its end. IT ALMOST MAKES SENSE NOW!!! I’ll have to add Utena to my Watching list; it was already on the Plan to Watch one due to Tomoko Kawakami’s presence but now I feel a sense of urgency LOL. And I have no idea why, but I get a strong Nana-esque vibe from it, which is a good thing as I totally loved that anime. I’ll just echo most of 21stcenturydigitalboy’s comment, and add my own appreciation; this information on the creators isn’t easy to acquire on one’s own. Grats! 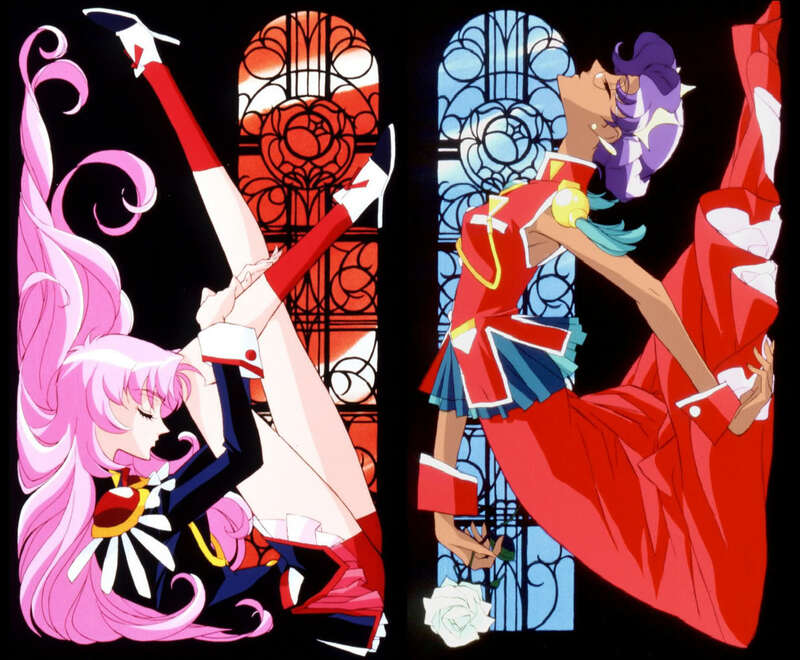 Utena is clearly a must watch for any serious anime fan, even more so if you like Penguindrum. Utena is more shoujo-ish and not as narratively dense as Penguindrum, though. IIRC, you did like ‘Star Driver’, which has quite a similar narrative structure (same scriptwriter), so Utena should be right up your alley as well. It remains one of the most unique anime up to this day and is a brilliant showcase of what talented creators can achieve with anime.